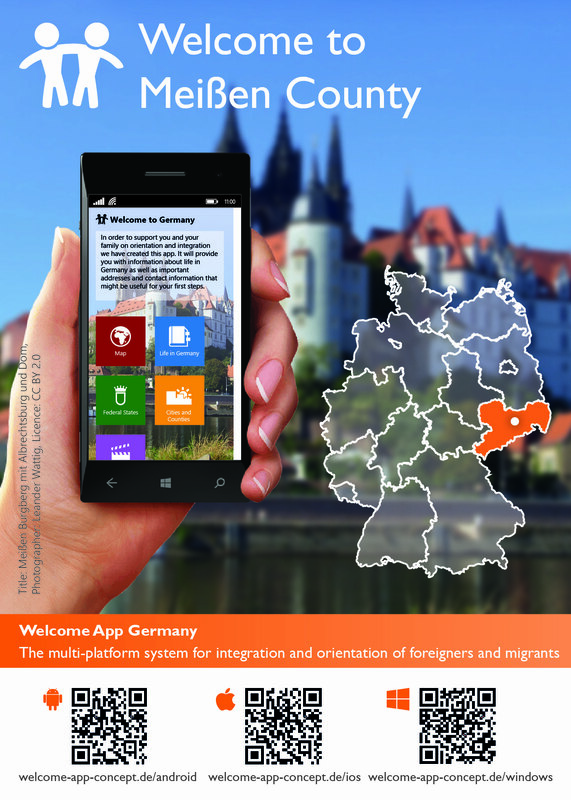 We welcome the Saxon district of Meißen in the welcome app and glad that those responsible for our digital and multilingual daily worker – decided for migrants, asylum seekers, foreign guests, local communities, authorities and organizer of integration courses. The district is represented with many contacts and contact persons in categories such as accommodation, property and donations and social counselling but also recreation, language learning and cultural opportunities. The contents are iOS for the platform Android and Windows incl., Windows phone provided. The available languages German, English, Arabic, French, Russian and Farsi (Persian) break down language barriers and relieve translators. 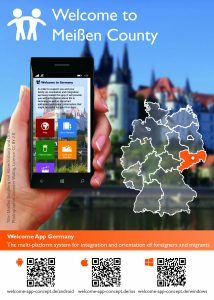 In doing so, the app makes a valuable contribution to better understanding and cooperation in everyday life!